Zoom to your destination easier with the eMoto Hybrid Electric Bike. This eco-friendly bike has a 350 watt brushless motor with a 37-volt rechargeable Lithium Ion battery pack. Charge it up and it will go up 35 miles on the motor. So save some money on gas and save some energy on pedaling! 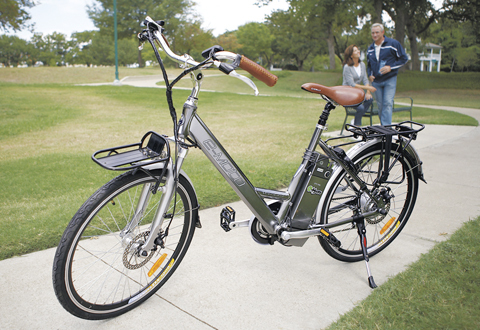 This electric bike is cool, comfortable, and efficient.